Well I have now been perma-banned from TW on all browsers, and I haven't even posted for 3+ months. Help anyone? You know it's bad when your forum has 'latest posts' dating back months while they're supposed to be active. Hmm. I appear to have come back to a ghost town. Hello? Varys, we in control of Pendor yet? Oh, I'm around, it's just that I can't do much until Sir Laurence returns to Belmonfaire - and I think I need to know what happened to the Iobairts to say what Sir Laurence would, properly in character. That means waiting a bit more. It is somewhat amusing that I've ended up with two Eventiders and a Dawnite playing Sir Laurence's vassals and allies. On a more optimistic note, things are still progressing. It's just slowed to about the same pace as the main forum - perhaps still a bit faster. And I come back to notice that the Shadow Legion event hasn't moved an inch. And the last posts were mine. Anyway... I don't have much to say. It seems pretty much dead in here. We're simply hibernating through the winter. I'm still keen to RP. Yer its quite atm, but no reason to abandon it, keep chattin every now and then, maybe we'll all launch into it again. Despite Aftermath being long since laid down, I think people still occasionally visit here. And I happen to feel obligated to advertise AKD (I'm annoying like that), now that the first chapter in Windholm is drawing to end, and joining isn't as awkward as it would be if arriving straight into a scene. It is nice to revisit from time to time. I miss my orange name though! It seems so... bright, after the Dawn grey. Yes, I am getting kind of nostalgic too every once in a while. What though do you miss in particular? Is it just its place in the timeline and therefore the Setting, or anything mechanic wise? Because while I would agree to the first, I think 'A Kingdom divided' is run much smarter and with a ruleset better fitting the events that take place. 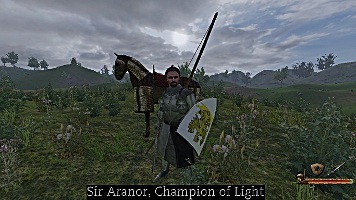 I think what I personally miss most was the initial feeling of being part of something that mattered and that would shape a part of the future of the history of Pendor. I think I had the most fun in the beginning, when everything was new and exciting and everybody was just thrilled to be a part of it. Probably a mix of all those things. For one we had a large community with many dedicated RPers that made this game seem more thrilling and exciting. And I liked that what we were all doing was helping to create a continued history for Pendor, maybe even help out SD with his book as well. As I happened to just stumble over it: Happy Birthday, Aranor! Oh yeah, happy belated birthday Aranor! And merry Christmas / happy new year to you all. I miss the amount of active members. There were always two or three IC scenes one could write in because the Orders were much bigger. That's what AKD lacks. Or perhaps there are simply too many Orders to choose from? Dawn - Eventide, would give interesting events solely based on their conflict. Something we lacked (and still do) because of diplomatic posting. The same goes for Dragons vs Griffons and Silvermist vs Gauntlet. I miss most of the people who didn't transfer to AKD and the fun scenes we had in CH. Good times. I think it is exactly because of the bigger amount of people in orders here. However Haegon, we don't know whether other orders kept active IC-scenes in their Chapterhouses which we had. Also, happy late new year!